Get ready for Europe's biggest poker festivals: WSOP Circuit and 2018 WSOP Europe series start qualifying online at PartyPoker. Both series takes place at King's Casino, Rozvadov with both series adding up to over €17 million in combined prize pools. 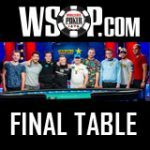 The WSOP Europe features ten events with more than €15 million in combined prize pools with a €5 million guaranteed Main Event. The WSOPE Circuit features fifteen events with more than €2.3 million in combined prize pools with a €1 million guaranteed Main Event. 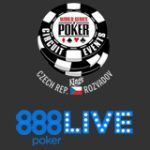 There are several promotions running for PartyPoker players who qualify online for the WSOPE Main Event, WSOP-C King’s Main Event or the WSOPE Colossus. 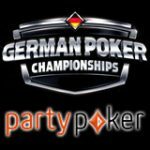 Get a one year PartyPoker Sponsorship worth $200,000 if you win the WSOP Europe Main Event and are one of the first 100 players who buy-in using PP Live Dollars. Get a one year PartyPoker Sponsorship worth $50,000 if you win the WSOP-C King’s Main Event and are one of the first 100 players who buy-in using PP Live Dollars. Get a one year PartyPoker Sponsorship worth $50,000 if you win the Colossus and are one of the first 100 players who buy-in using PP Live Dollars. 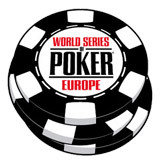 Guess the amount of players who will be registering for the WSOP Europe Main Event, and win 1,000 PP LIVE Dollars.